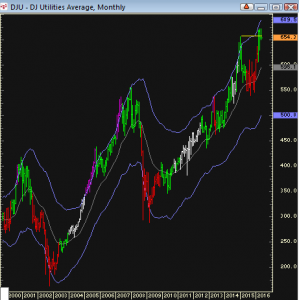 After making all time new highs the past two months, the Dow Jones Utility index is back below a previous high, signaling a bear trap or false push to new highs. 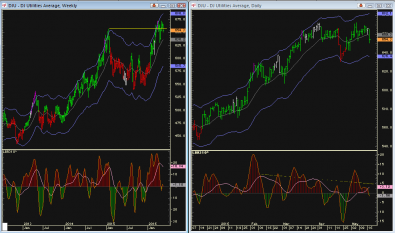 The monthly charts show price action that was parabolic over the past few years. Todays range expansion to the downside comes the day before the release of the last FOMC minutes.